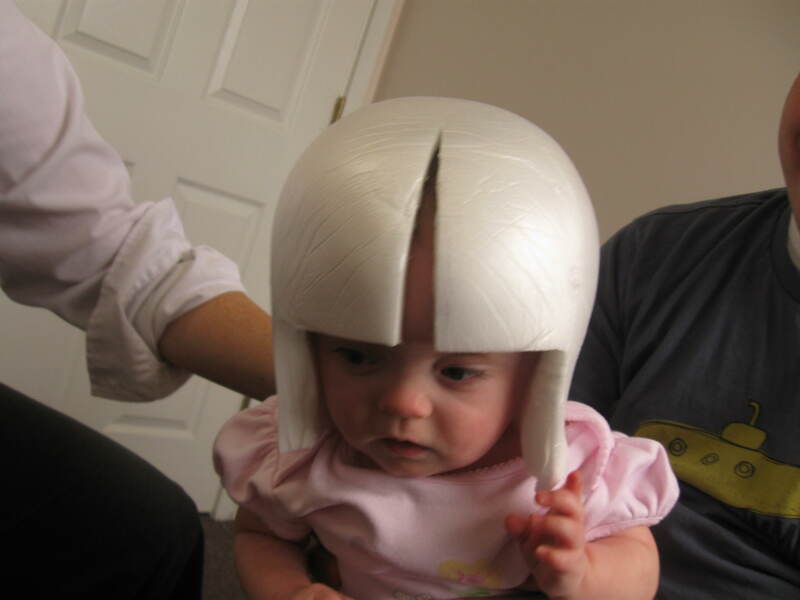 Itty Bitty Hill: Bows Are for Helmets, Not for Hair! 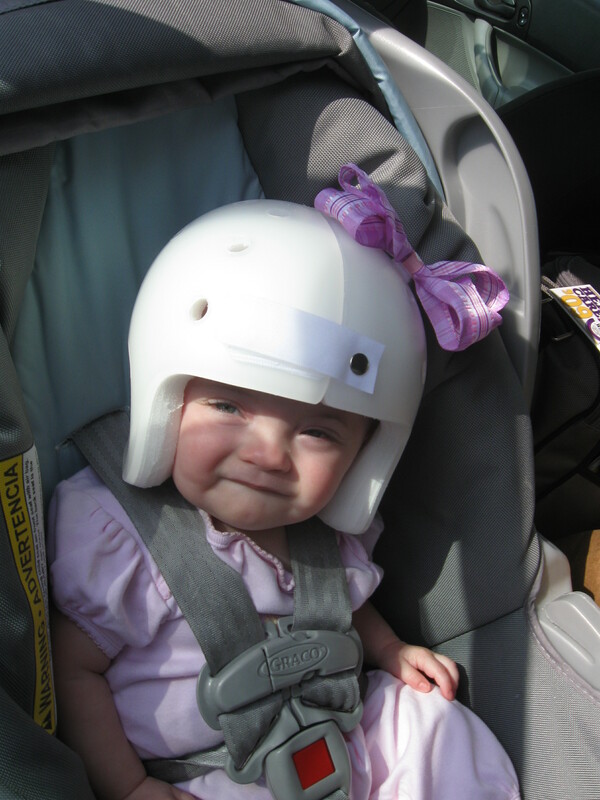 Becca got her helmet today! 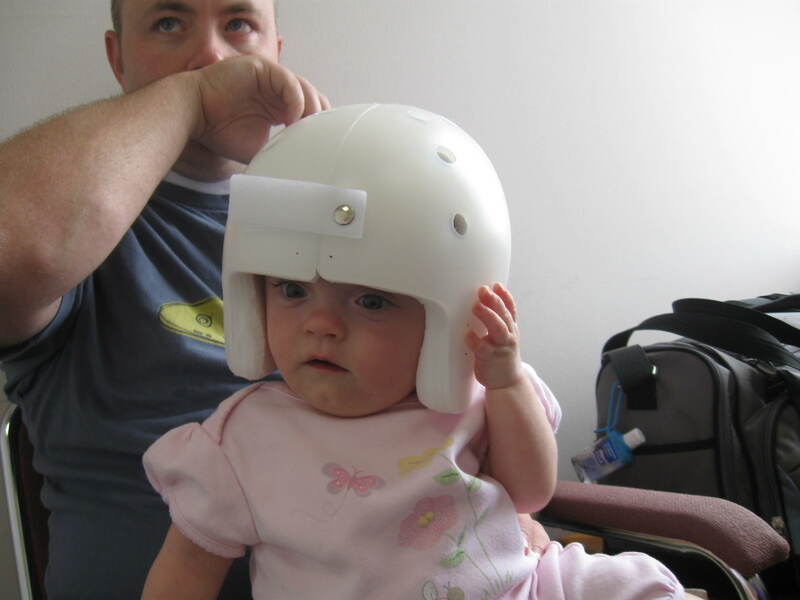 She did amazingly well at her appointment, and she doesn't mind the helmet at all, except that Mommy and Daddy are still a little rough getting in on and off. She'll wear it for a few hours today, sleep without it, wear it a bit more tomorrow, and go full-time starting at bedtime tomorrow. I think she's so adorable in it! The lady in the pictures is Kathleen, our practitioner at Restorative Health who worked with Becca all the way through the process. They have been so wonderful, even rushing to get it done before we leave town next week! i still say those things are primed for sponsor advertising! Awesomely cute! I love the bow and her beautiful smile. 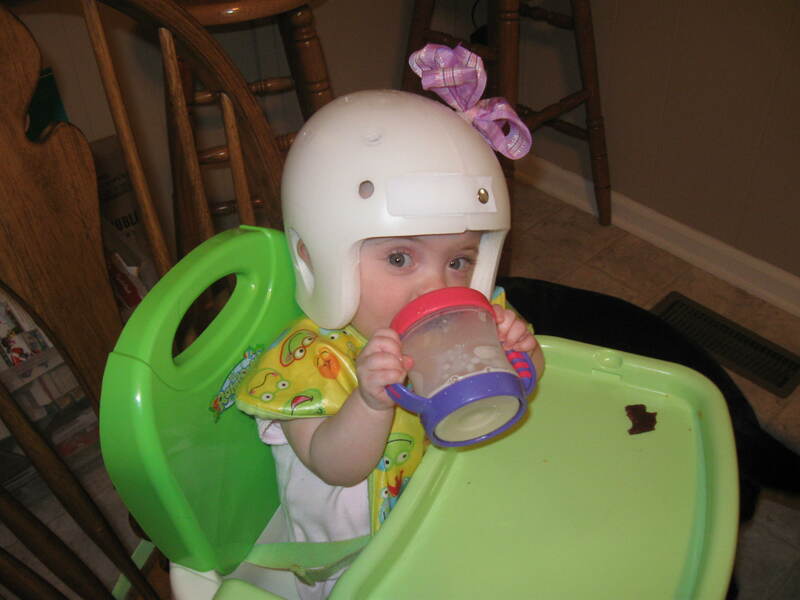 oh, nancy, i love babies with helmets! (it's the peds nurse in me.) you are the first person i have seen to apply bows, however, and i think it is adorable! 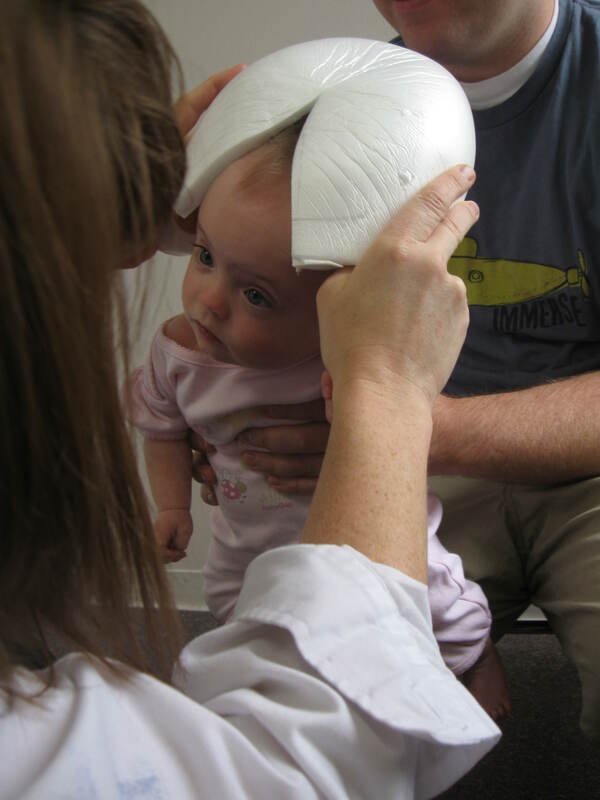 here's to a beautiful round head! I'm with Kristen. She got cuter! How is that even possible? She looks like such a big girl! FYI.....Plaxico Burress The NFL Footbal Player Begins Prison Sentence Today! Not that I have anything against the guy but finally these athletes might start to get it....You CAN'T just do anything you want and get away with it. If I get caught with a gun, I would have to do time too.